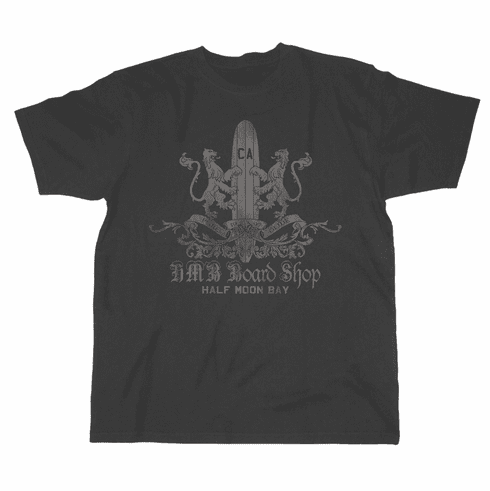 Half Moon Bay Board Shop logo on short sleeve tee. Pre-shrunk, 100% cotton 6.1 oz. T-shirt, ribberd collar with set-in sleeves and shoulder to shouder taping. Double-needle stitching on neck, sleeve and botton hem. 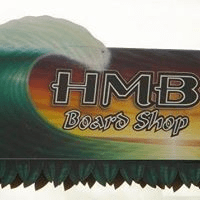 Copyright © 2007 HMB Board Shop All Rights Reserved.